The Fun, Upbeat Phoenix Real Estate Broker! Phoenix real estate broker Anna “Banana” Kruchten is a true expert – and that affords her clients both peace of mind and the luxury of having fun while she guides them to success in reaching their real estate goals. A professional full-time real estate broker since 1987 and is also an ADRE Certified Real Estate Instructor, She was chosen a “Master of Real Estate” by the National Association of REALTORS® and holds numerous designations. That doesn’t mean she thinks she knows it all. In addition to teaching others, she spends approximately 100 class-hours per year furthering her own education. When clients began going on line to search for homes, she hired a coach and immersed herself in learning how to market on the Internet. 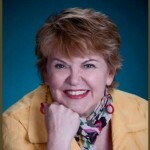 Now, although she’s become a national leader in Internet marketing, she continues to study and improve her strategies. Since the real estate market is in continual flux, and since no two markets are exactly alike, Anna is also diligent in remaining up to date with the trends and statistics affecting real estate markets in and around Phoenix. But those details don’t reveal the core of what makes Anna Banana the agent whose clients return again and again – and send her their friends and family members. Anna says that “A referral is sending someone you care about to someone you trust,” and in addition to what she knows, it’s “who she is” that earns that trust. Anna made the decision to become a real estate agent at the tender age of 4, when her parents’ agent made her an “assistant for the day.” However, life took her on a few detours. In 1987 she found her way back to real estate sales – where her heart had always told her she belonged. In addition to serving her clients, Anna also serves the community. She’s served on the board of directors of several non-profits and works with both the Chamber of Commerce and the Phoenix Business Connection. When it’s time to relax, she enjoys hiking, traveling, participating in a food & wine group, and spending time with family, including her 3 grandkids. She and her husband share their home with an 18 year old cat named Kitty, and an adorable 6 year old rescue dog Barney a Bichon-Poo! 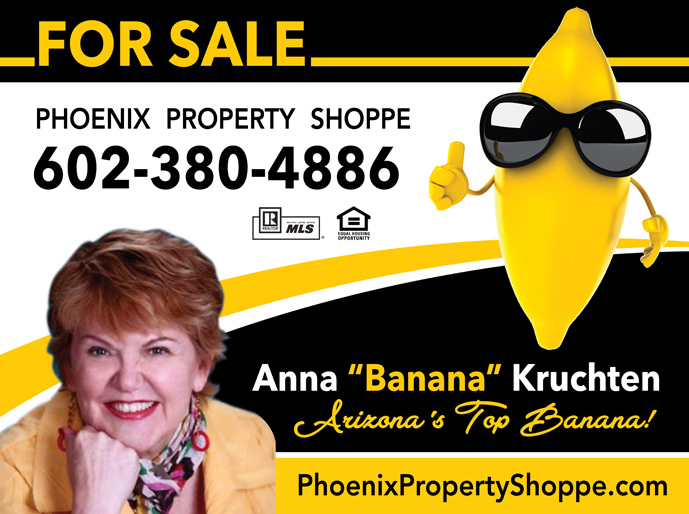 When you’re looking for a Phoenix area real estate broker who will put your needs first, go above and beyond to help you reach your goals, and cause you to have fun along the way… call Anna “Banana” Kruchten. You’ll soon understand why her clients turn into lifetime friends.